As part of ISAC’s program “Development of Serbia’s National Capabilities for Civilian Contributions to Peace Support Operations” a delegation from Serbia (which consisted of the representatives of the Ministry of Foreign Affairs, Ministry of Defence, Ministry of European Integration and ISAC Fund) visited the Center for International Peace Operations (ZIF) and the Federal Foreign Office in Berlin from 10th to 11th October. The main goal of this visit was to bring closer the German experience in establishing a system in Serbia for sending civilian experts to peace support operations. Participants had an opportunity to talk about the history of ZIF and its role in sending civilians into missions, how the system is set up, and the challenges that Serbia might face with. Furthermore, they discussed the selection procedure for candidates, criteria and the necessary training required. One of the most important factors is human resources and how to properly select and train those candidates with the necessary skills to be considered for missions which might fall under CSDP or seconded to OSCE missions. This also includes the duty of care of one’s experts in all parts of the mission including the preparation, deployment and return phase. While Serbia is not planning on establishing a large institution like ZIF, their experiences in managing one of Europe’s largest civilian roosters and deployment of experts to missions, will be of immense value for Serbia’s decision makers as they move along the process in establishing a system to meet Serbia’s needs. ISAC Fund recognized the importance and benefits of development of the national capabilities for sending civilians to missions and therefore started this project with the support of the Czech Development Agency in 2016. 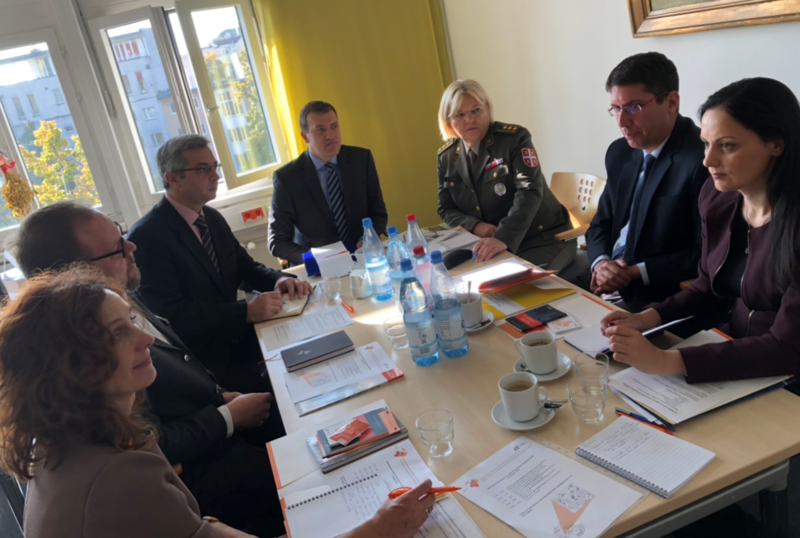 The next phase of this multi-year project is being supported by the German Federal Foreign Office and its aim is to finish establishing the technical framework of selection, training and sending of Serbia’s experts in civilian peace support missions. The successful completion of this program is significant for Serbia, as the establishment of the system to be compatible with the EU’s CSDP civilian missions framework is one of the obligations stemming from the Chapter 31, and thus represents an important aspect of the Common Foreign, Security and Defense Policy. More information on this topic and previous phases of the project you can find here.